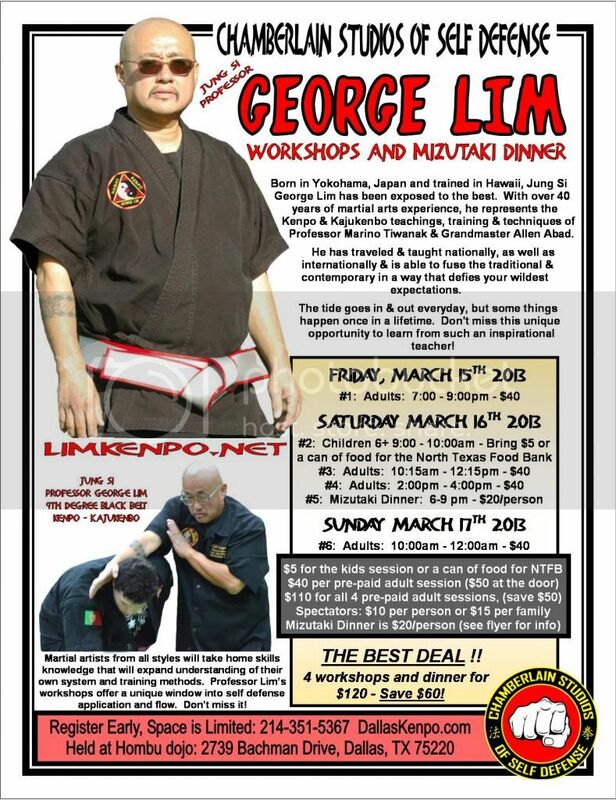 The George Lim Workshops and Mizutaki Dinner in Dallas, TX on Friday, March 15 through Sunday, March 17. Recap & pictures of George Lim's seminars in Dallas Texas for Prof. Nic Chamberlain. 50 black belts adults and 20 kids participating in 3 days of seminars. Over 100 at the Mizutaki dinner celebration. Good, hard, old fashion Kenpo training. Good representation of where they come from Gascon/Cerio lineage. Good people. Good Family. Good instructor Leader Prof. Chamberlain. It was an honor & privilege.